Melanie Dages created these adorable business cards for Miminoo, a business offering Babies, Kids & Mamas clothing & accessories in Montréal, Canada. 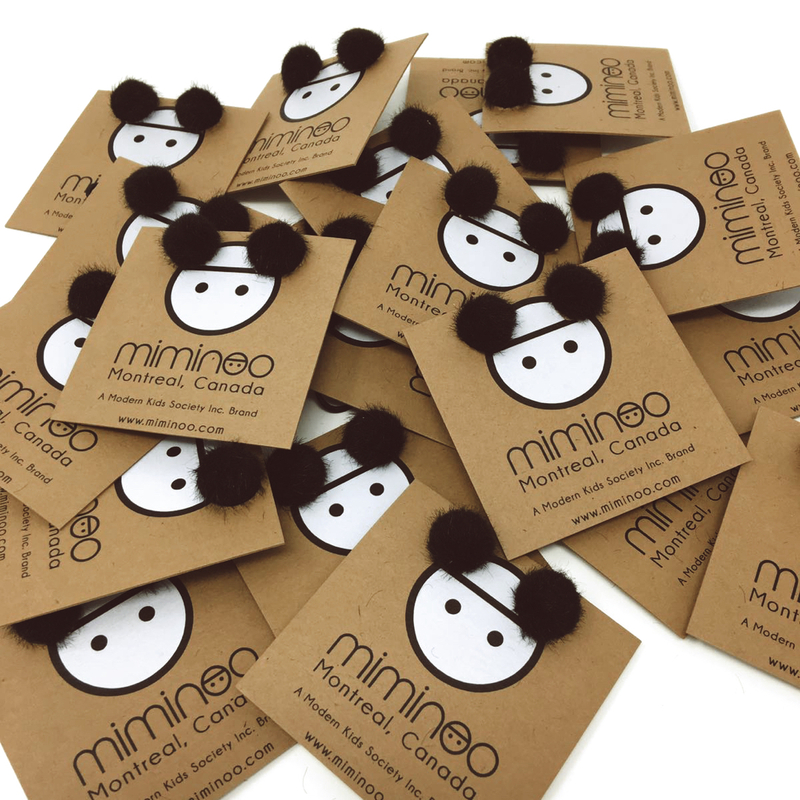 Miminoo is a brand of Modern Kids Society Inc. and it features products that are either customizable, reusable or alterable. “We like to have products that can be mixed and match, this is how we came up with our winter collection of hats with removable pompoms,” said Melanie, the President & Creative Director of Miminoo. “The double pompom hat is our best seller, therefor, for the tradeshows, I came up with the idea to put a double pompom “hat” on our business cards. It is actually a double pompoms hairband that I made, as a gift for my customers. I made two holes, and pushed the pompoms inside.” A gift and a card combined? Clever! These business cards were printed by ThiKit using square 34pt 2.5 x 2.5 in Grocer Kraft cardstock. “I was lucky as they just introduced the white ink when I ordered, so I was able to have my logo white and black as it should be. Their customer service was amazing and fast delivery too,” Melanie added. Melanie’s creativity definitely paid off! The design really speaks for itself – by being cute and effective at the same time.